Ok, you are probably thinking.... What?????? Christmas already????? What is she thinking?? Steph Ackerman here to let you know that Christmas is only 76 days away. I can hardly believe it myself!!! But I will confess, this project did not start out with a Christmas theme. 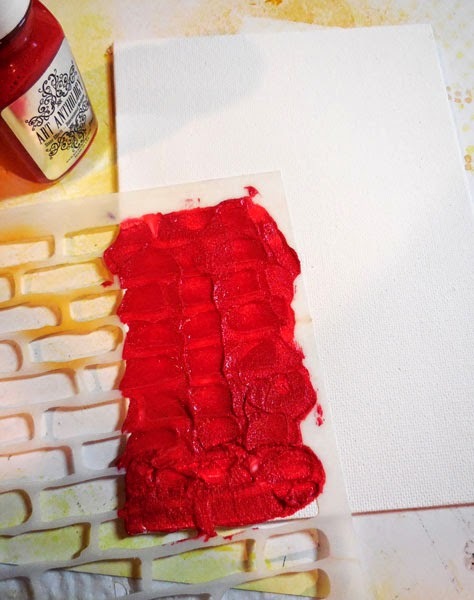 Actually, it started because I wanted to use The Crafter's Workshop Brick Stencil. 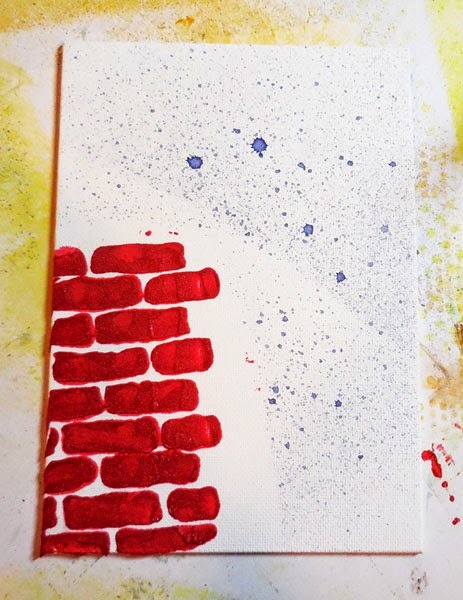 I placed the stencil on a canvas panel and added Art Anthology's Brick Stone Effects paint. When I removed the stencil, I found I had created a chimney. So my project morphed from there. I spritzed Art Anthology's Colorations in Lark around the canvas to give a hint of the night sky. 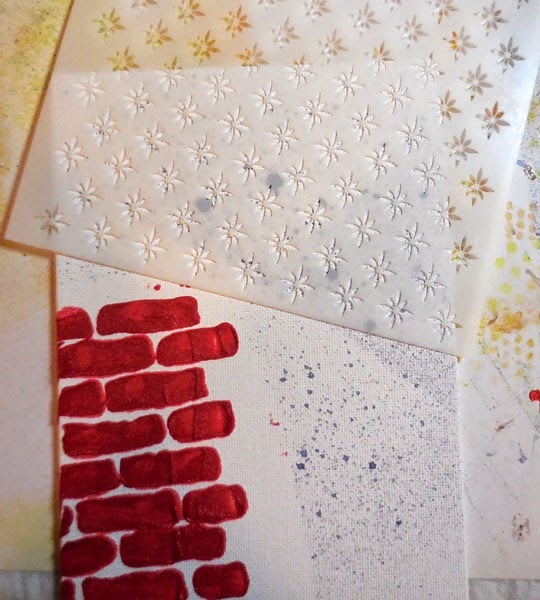 Using The Crafter's Workshop Mini North Star stencil with Art Anthology's Sorbet Dazzle paint, I added stars to the canvas. When dry, I spritzed the canvas again with Art Anthology's Glorious Colorations for a dazzling night sky look. 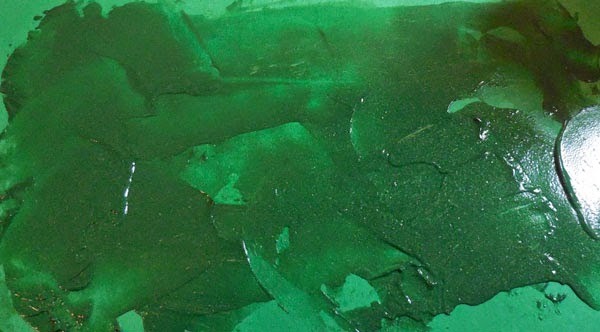 I painted green cardstock with Art Anthology's Velvet Paint in Basil. Once dry (either wait till it's dry or heat set it), die cut with Spellbinders Holly Wreath die twice. 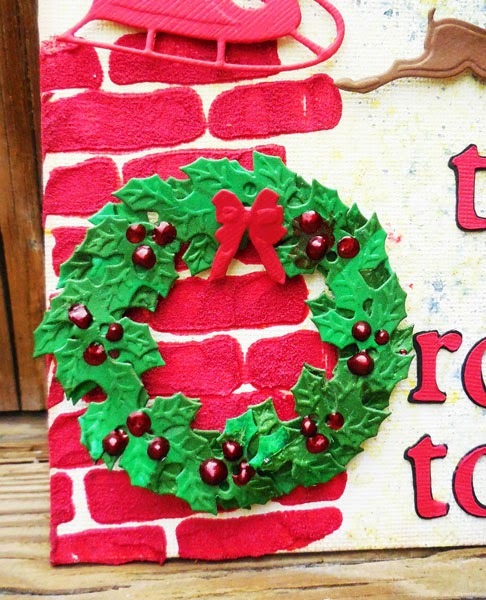 Assemble 2 layers of the die cut and embossed wreaths, adding a red bow to the top. 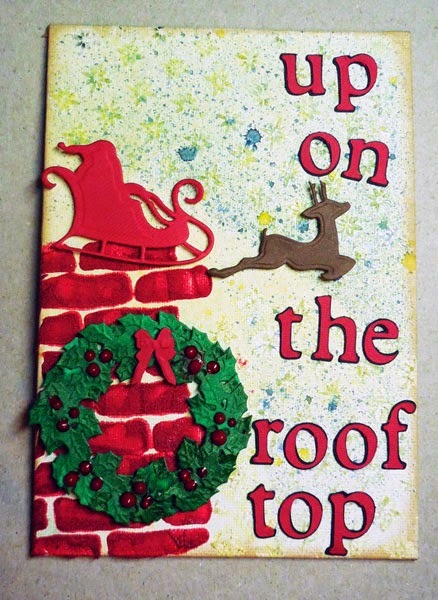 Add to the chimney with foam adhesives for dimension. Using Art Anthology Dimensional Crystals in Red Corvette, create the berries on the wreath. Die cut letters using Cricut Expression from red and black cardstock (or use stickers). 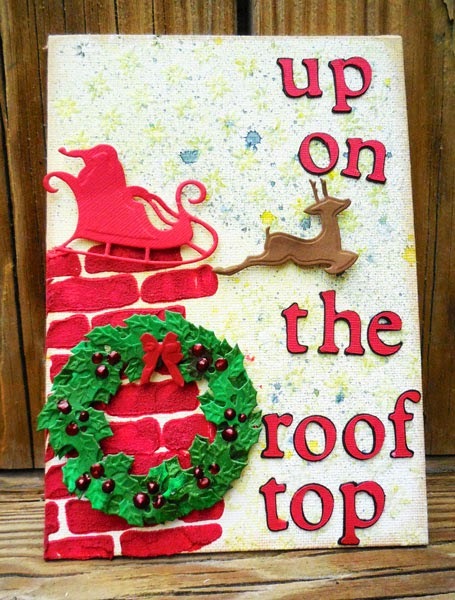 Die cut Santa and his reindeer using the Stamp Doctor die with red and brown cardstock, adding them to the canvas with foam adhesives for dimension. Using the Inkssentials Blending Tool with Ranger's Vintage Photo Distress Ink, I added just a touch of color around the edges of the canvas. So, have I put you in the Christmas mood yet? What a wonderful Christmas card Steph! love that brick chimney and your winter sky! LOL... you are counting days ! Such fun techniques!